I had a terrific time these past three weekends and thought I’d share some photos. First up was a weekend at Crystal Mountain, a ski area near Mt. Rainier in Washington state, for a Ragnar Trail Relay. Interestingly, my family lived in Washington state for several years when I was a kid and we enjoyed family ski trips to Crystal Mountain in the 1970’s. It was fun to return. 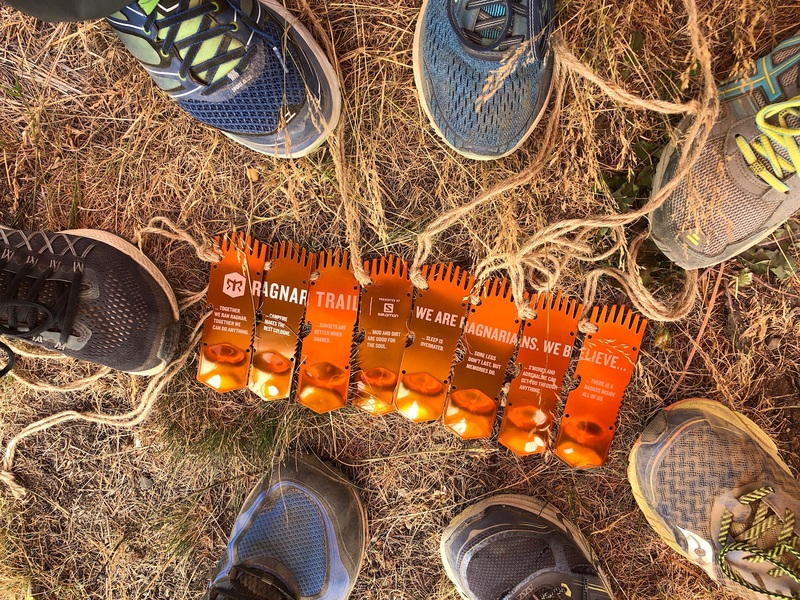 This was my first Ragnar event and I thought it was awesome–a camping weekend at the mountain base with ~2500 runners. I joined two 8-person relay teams representing Ironheart, a support group for athletes with heart problems. This was also my first-ever trail running event and the series of 8-mile, 5-mile, and 3-mile trail runs up and down the mountain were certainly a challenge. I have a renewed respect for veteran trail runners. For me, the highlight was the fellowship with my teammates. 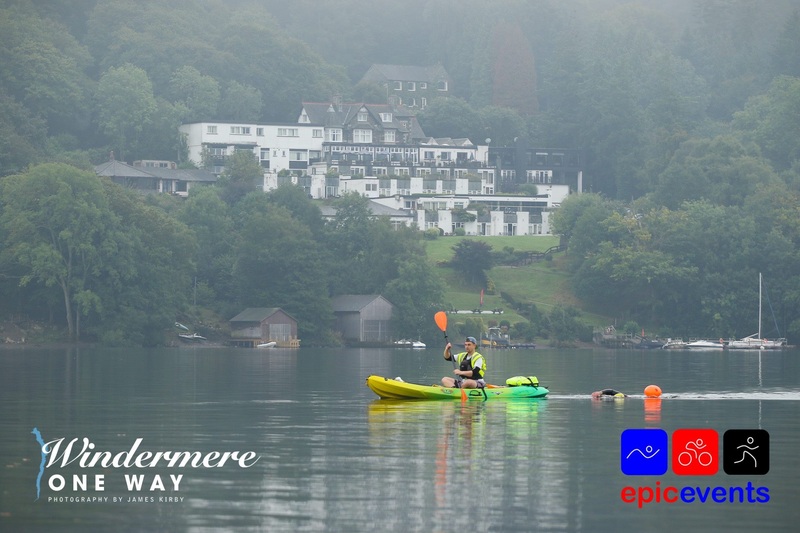 Next up was a long weekend in the Lake District in northern England for some swimming in Lake Windermere, England’s longest lake. 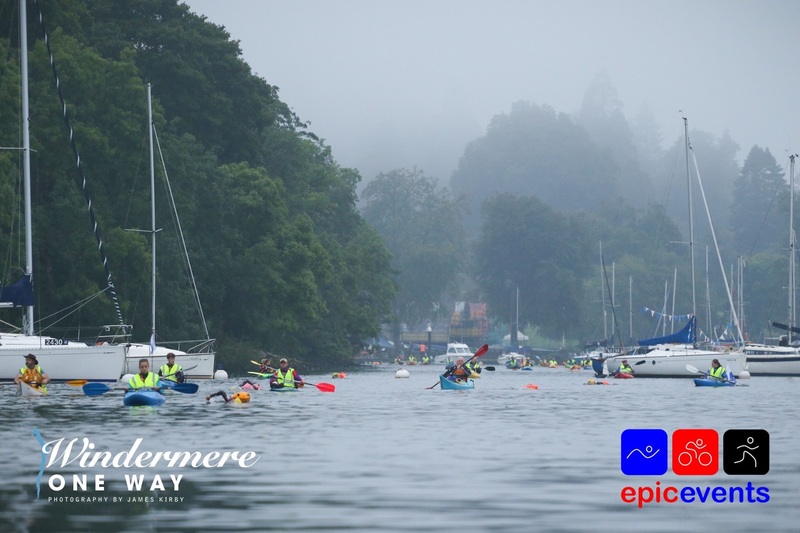 I participated in Epic Events’ One-Way Windermere (WOW) swim, an 11-mile swim from end-to-end, an event that attracted ~175 swimmers! 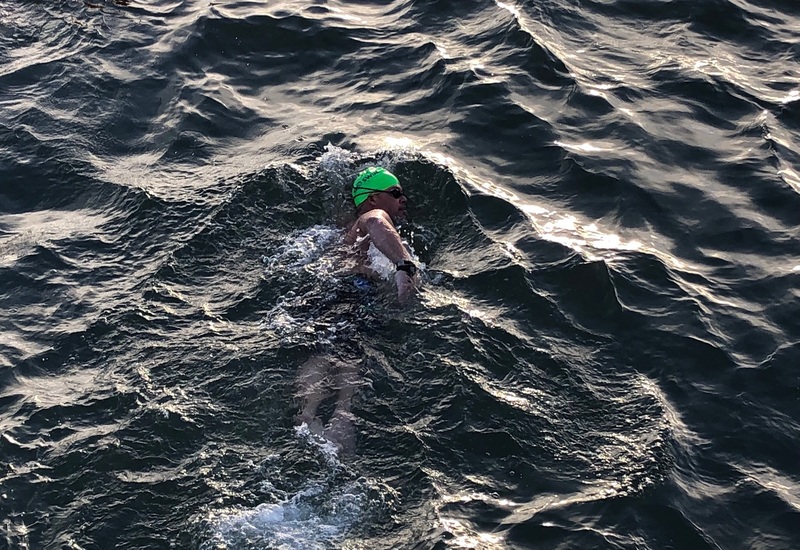 This swim is a British classic and, because of its length and water temperature (~16-17C, 61-63F on race day) that mirrors the English Channel for much of the year, a bit of a proving ground for Channel aspirants. For me, it worked out to be a relaxed, 5 hour 40 minute swim, with a chance to practice feeding every 30 minutes. It was a solid effort and, to my surprise, it was good for 2nd place among the non-wetsuit men, so it even came with a prize at the finish! 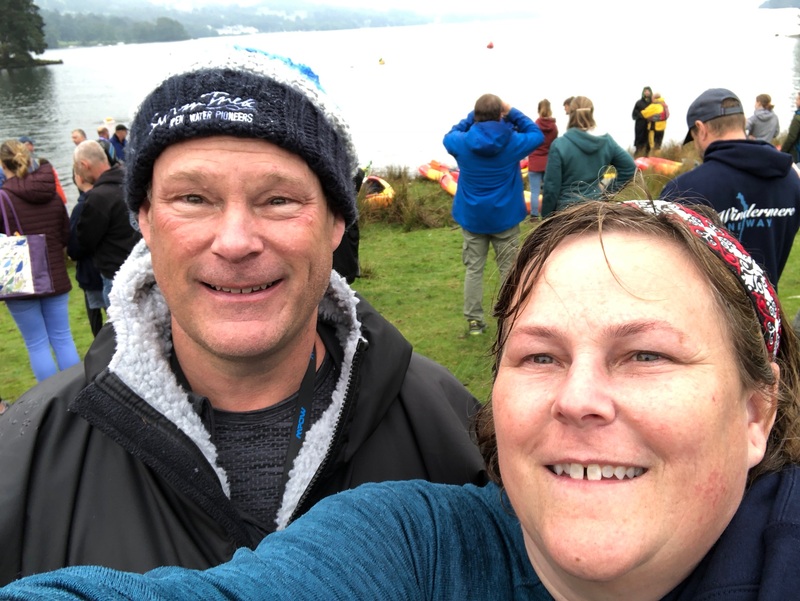 Big thanks to Epic Events, all the volunteers, and especially my paddler, Chris Cheal, and my sister, Lori, who cheered loudly. This past weekend I travelled to San Francisco for Water World Swim’s 10k Bridge-to-Bridge Swim. I did this event last year with a wetsuit and I was happy to secure a non-wetsuit spot for this year’s swim. San Francisco Bay is a spectacular venue for any swim. 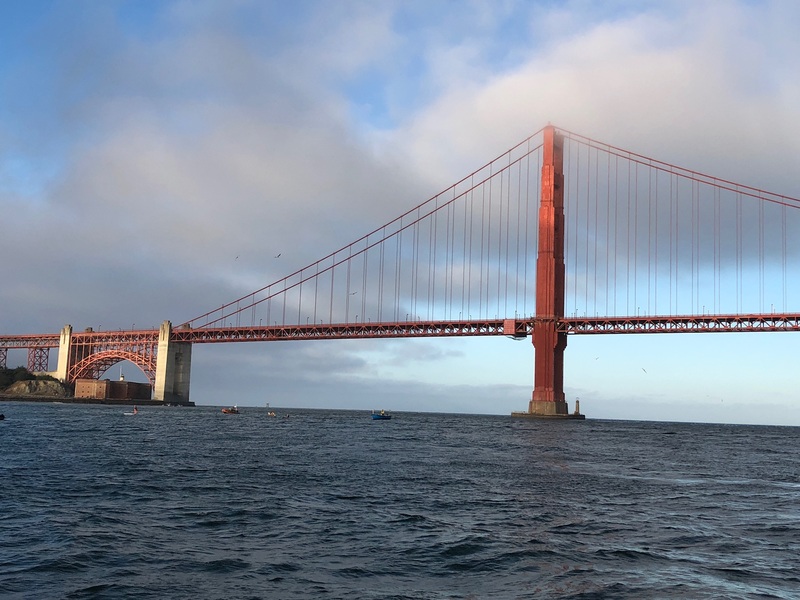 And with this particular swim, you get to take in all the sights as you swim from the Golden Gate Bridge along the entire San Francisco waterfront, passing Alcatraz Island along the way. The water was chilly (~16C, ~61F), but the swim was pretty quick with the help of the current. Swimming downstream is always fun. I’m taking a couple weeks off from swimming for some well-needed rest. Next up is the Waikiki Looong Swim in late October. 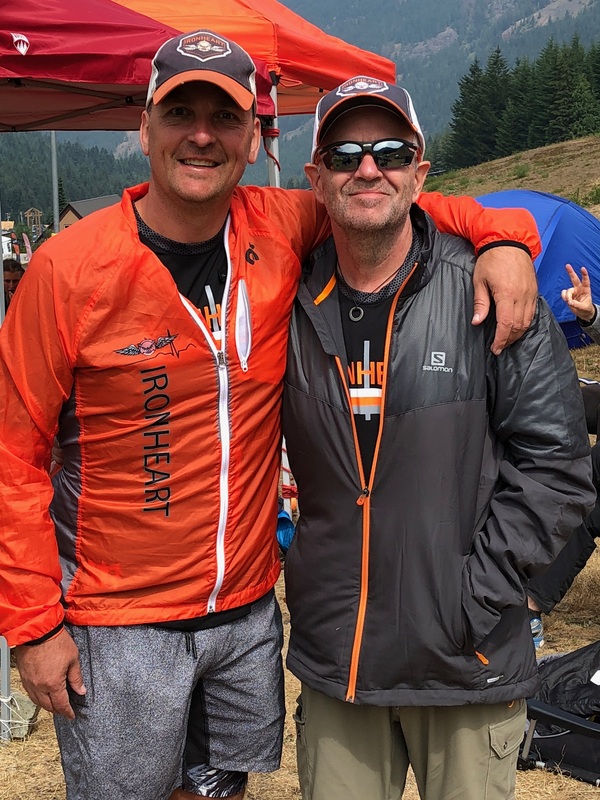 The Ragnar team captains–Dave Watkins, founder of Ironheart, and Greg Bateman. At the finish, and looking proud of their teams’ accomplishments. At the finish for Team #48. Seven members remain….after a medical emergency took one teammate (and his teammate wife) to the hospital. 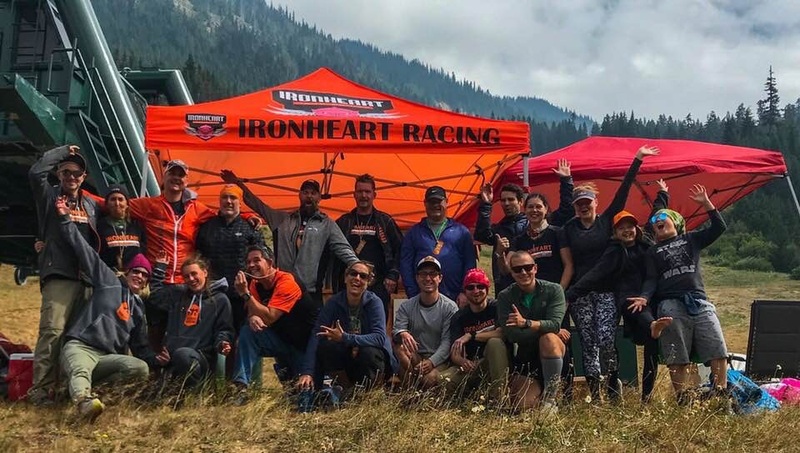 The Ironheart teams celebrating after the event. 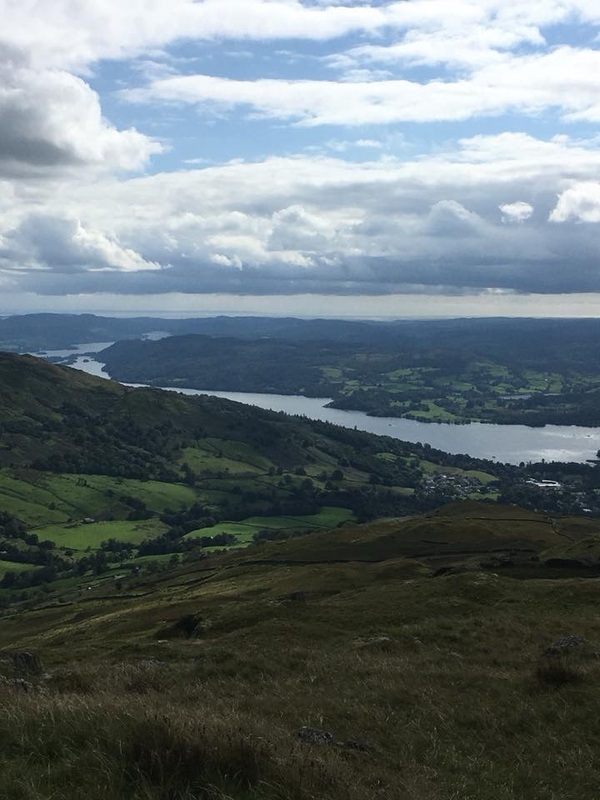 Lake Windermere is about a 2 hour’s drive northwest of Manchester, England. The scenery’s lush and green and the Lake is nestled amongst the rolling hills. The start of the Windermere swim, at Fells Foot park. A day of swimming in England wouldn’t be complete without some fog and mist (and rain, to be truthful). Thanks to Epic Events for the photos they agreed to share. This isn’t me swimming, but I stayed for the weekend at the Beech Hill Hotel in the background. 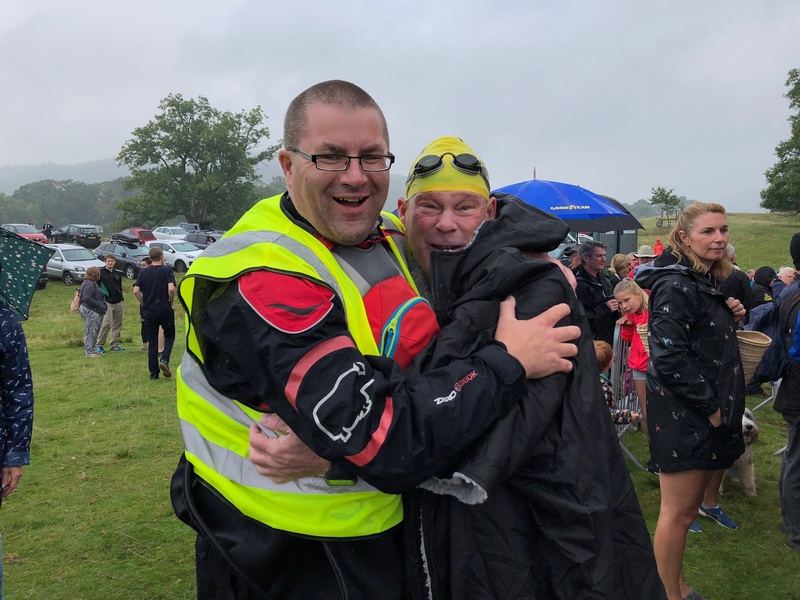 A warm embrace with my paddler, Chris Cheal, at the finish. I’m not sure who had the more difficult day. I think I’d be crippled if I kayaked for nearly 6 hours. With my sister at the finish. Looking a bit warmer and happier after a change into some dry clothes. Checking out the next day’s Bridge-to-Bridge swim during the night Alcatraz tour. Motoring out to the South tower of the Golden Gate Bridge for the start of the swim. This year we had a clear day. Last year, the road deck of the bridge wasn’t even visible because of the fog. Much easier navigation this year! 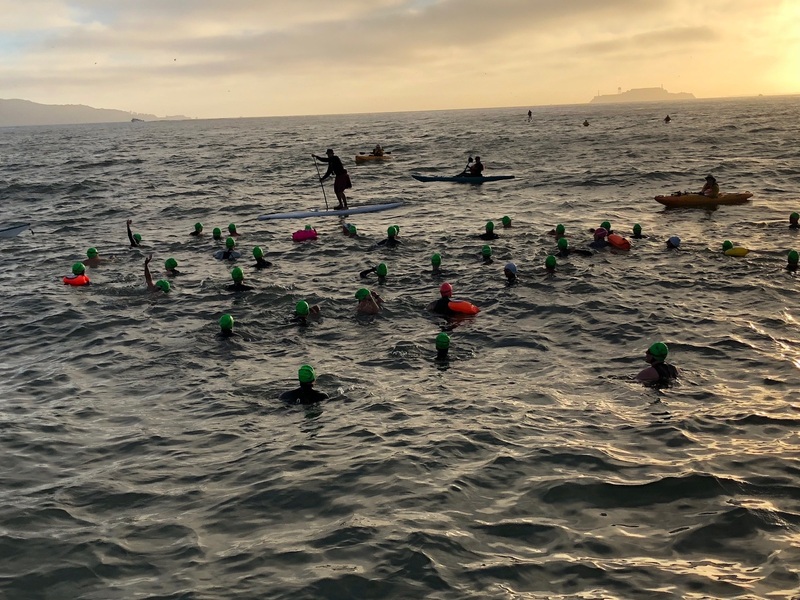 Just before the start….and ready to swim toward Alcatraz island, a couple miles in the distance. 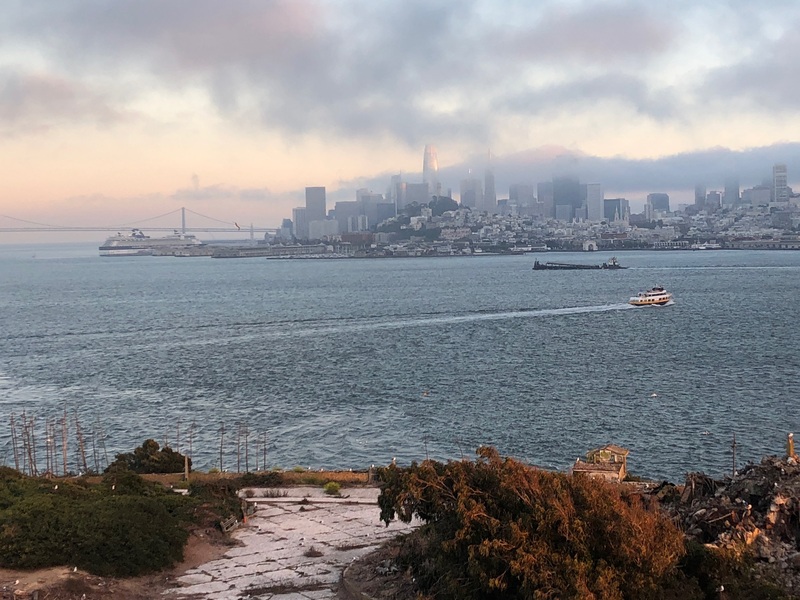 It’s cold–but it never gets old–swimming in San Francisco Bay.